The piece on the left is 65% ball clay and 35% nepheline syenite. The one on the right is 65% kaolin and 35% nepheline syenite. Both fire vitreous at cone 6. But the glaze is crazing on the kaolin and not on the ball clay. 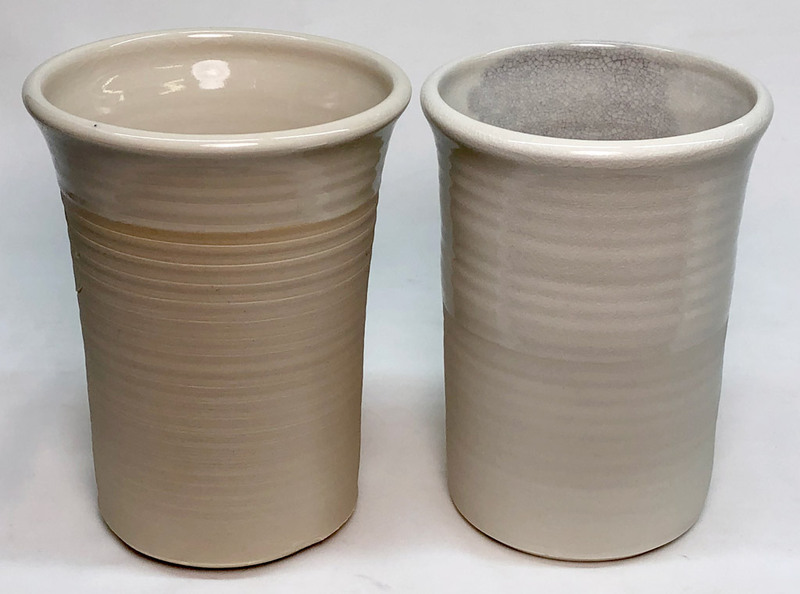 This is because the ball clay contains significant quartz, that raises the thermal expansion and that puts the squeeze on the glaze and prevent the crazing.